I recently locked myself out of my vCenter Server Appliance when I was attempting to perform an upgrade through VAMI. The VAMI just says “invalid password”, but logging in on the console displayed a message indicating I had failed authentication 12 times. I had only tried four times! Regardless of whether it was me or someone else, now that I knew I had the right password, I was locked out. I waited 5 minutes but still couldn’t get in, so it looked like it was time to do a password reset. However, I wanted to explore something I had done with vRealize Orchestrator recently: disable the account lockout. Once you’re in, search for the word tally in the pam setup with grep tally /etc/pam.d/*. You will find these two lines in /etc/pam.d/system-auth. If you know your password and are just dealing with lockouts, you can type reboot -f now. Otherwise, type passwd and enter the new password twice and then reboot. You can now enter your password wrong a million times – or someone else can – and you will not lose the ability to log in without waiting an extraordinary amount of time or requiring a reboot. I upgraded from VCSA 6.5U1b to 6.5U1c and this persisted. I assume that when going to vNext (6.6 or 7.0) this change will be reverted, but I am not sure how it will behave when VCSA 6.5U2 is released, this may need to be re-done, so add disabling the lockout to your upgrade checklists alongside disabling the root account expiration. Many wise people have pointed out that a backup doesn’t count until you can restore it. It’s vitally important that we test our backups by restoring them, and doing so manually is often problematic when the original system is still online. 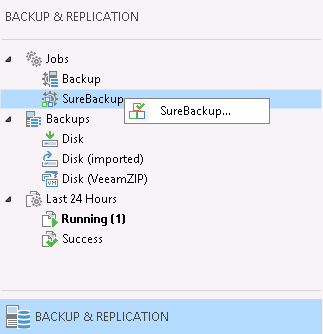 If you use Veeam Backup & Replication, it includes functionality called SureBackup to automatically test restores in a private, isolated network so that there’s no conflict with the production systems. You can read more about the functionality in the B&R Manual, starting with this section. I will be providing high level descriptions here as the manual already provides great detail, please take the time to read that as my article isn’t a substitute for the official docs! The manual is pretty good, but I ran into a few things that were either confusing or missing, things I had to scramble to figure out on my own. That’s not fun and I don’t think others want to waste their time on it. I hope this article helps illuminate some of the gaps for others who wish to explore SureBackup. Let’s start by taking a look at how SureBackup works and the components it uses. Application Groups: A collection of related VMs. For example, an Active Directory Domain Controller, a domain-joined DNS server, and a domain-joined webserver. Or the trio of VMs a 3-tiered application. Only create an application group for VMs that need tested in a particular order or need extra tests. Each VM can have a defined role to run application-level tests and are powered on one at a time in the order specified. Linked Job: A restore test can, after any Application Group VMs pass, run against all the VMs in a Backup or Replication job. These tests are basic power on and heartbeat tests, no application-level tests. These VMs are powered on in groups, by default 3 at a time. Proxy Appliance: Not to be confused with a Backup Proxy! This linux-based VM bridges the production and isolated networks using iptables and NAT masquerading to allow access to the restored VMs. It is managed entirely by Veeam, including creation, settings, powering on and off, etc. 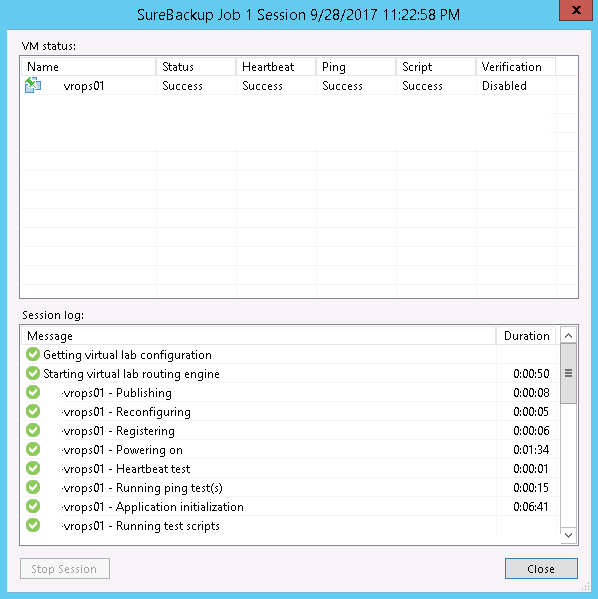 SureBackup Job: A new job type in addition to Backup and Replication jobs. This option is not visible until a Virtual Lab exists. A SureBackup Job starts and brings up the Virtual Lab and its Proxy Appliance[s]. Pick the first VM from an Application Group or the first 3 VMs from a Linked Job. Register and power on a VM and run heartbeat and/or application tests against it. Tests are initiated from the Backup Server through the Proxy Appliance’s NAT and to the test VM. Optionally perform a CRC check on the files. 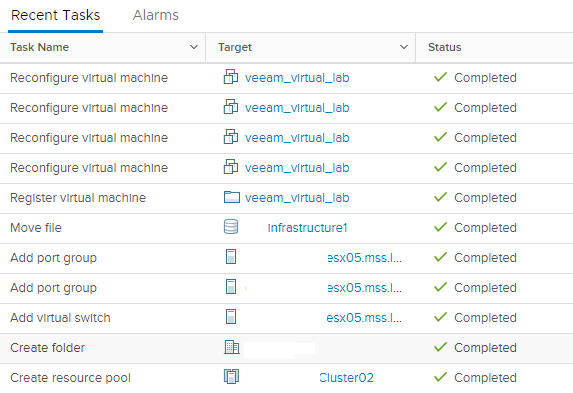 Repeat steps 1-6 for the remaining VMs, moving from Application Group VMs to Linked Job VMs. An application group is defined when we want to test a number of related VMs, such as a 3-tier app or an Active Directory/Exchange setup. We do not create application groups for unrelated VMs, like 5 web servers from 5 different customers. The reason is that each VM is powered on (and left on!) in sequence, and if one fails the whole group fails. Make sure there’s a strong relationship between the VMs in an application group. Give it a name and description and click Next. 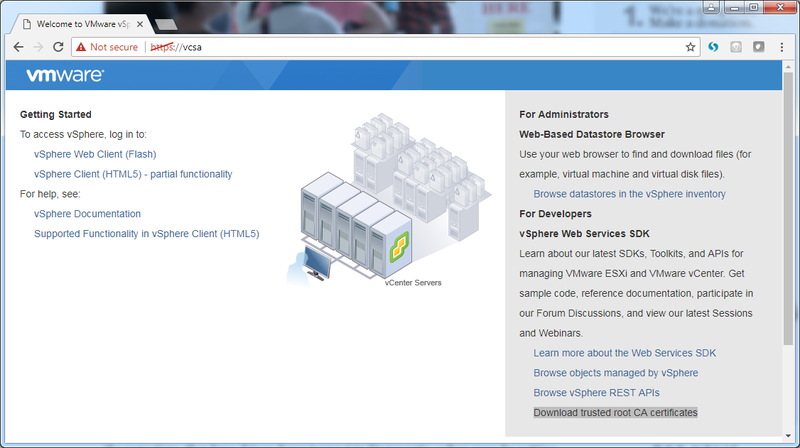 On the Virtual Machines page, click Add VM and select one or more related VMs. I’ve chosen an instance of vRealize Operations Manager (vROps). Notice that the Role is not set. Select it and click Edit… Adding a role will enable an application-level check. Select the Web Server option. In the Startup Options tab, we need to make a change. vROps takes a long time to start, more than most web servers. I suggest increasing the Application initialization timeout to 300-400 seconds (5:00-6:40) so it has enough time to complete loading. Switch over to the Test Scripts tab and there is a small problem – the Web Server role uses port 80! If we highlight it and edit it, we cannot change the argument, we can only choose a different application or provide our own test script. If we OK the Verification Options window and click Edit… again, we will see the new role HTTPS Web Server is available and the Test Scripts tab shows the port 443 in the arguments. More information on role definitions can be found in the manual. The second way to configure the test scripts is on the Edit page by selection Use the following test script. Put something in the Name field. The Path is the TestScriptFilePath observed in the XML files plus the full path, giving us C:\Program Files\Veeam\Backup and Replication\Backup\Veeam.Backup.ConnectionTester.exe (assuming %ProgramFiles% is C:\Program Files). The arguments match the same field in the XML file, %vm_ip% 443 – or whatever port the one-off requires. We can also add our own binaries for testing, just make sure they’re documented as part of the Veeam B&R Backup server build. There are tons of other things to customize in the application group – such as only allocating 50% of the compute and memory the VM is assigned to preserve resources during the test – but this is sufficient for our tests. Create however many application groups you want to now, you can always come back later and edit them or create more. The application group was the easy part. 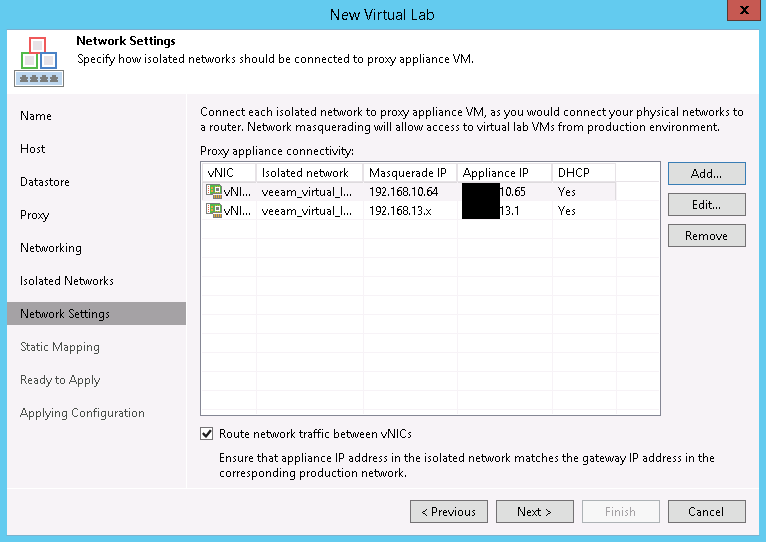 The Virtual Lab is next, and will create a vSwitch and Proxy Appliance VM on the host/datastore of our choosing. Before beginning, we need to decide which host and datastore to use, and grab an IP for the Proxy Appliance on the same network as the Backup server (it can be set up in a different network, but that’s a more complex setup I won’t be visiting in this article). Once we have that, we go to Backup Infrastructure > SureBackup > Virtual Labs, right click, and choose Add Virtual Lab… If a Virtual Lab has been created previously and disconnected somehow, we can also choose Connect Virtual Lab… to reconnect it. Let’s review creation of a new lab. Give the lab a name and description. On the next page, we are asked to select a host. Again, we can NOT choose a cluster, we must choose a single host. Once we choose the host it will suggest a Folder and Resource Pool that the restore VMs will be placed in. We can edit with the Configure…button or just click Next. The next page in the wizard asks for a Datastore that the host can see, click Choose… and select one. I believe I saw a suggestion that the free space should be about 10% of the size of the VMs being restored, but I am not sure where I saw that and cannot find a more solid recommendation now. The next page is where the Proxy Appliance is created. Set the name with the first Configure… and the network settings with the second Configure… In network settings, wemust choose the same production network as the B&R Backup server for our simple setup (more advanced options are discussed in the manual as Advanced multi-host (manual configuration) but there are no guides for it, sorry). If that network supports DHCP, just click OK, otherwise we will need to provide our IPv4 (no IPv6 availability) address settings and DNS servers. We can also optionally allow the proxy appliance to be the VMs internet proxy, but we will skip that for now (directions in steps 4 and 5 here). Note: The proxy appliance by default receives the same name as the lab. If you use vCheck, there is a plugin that alerts on VMs whose file location on the datastore doesn’t match the VM name, and spaces in VM names are changed to underscores on the filesystem. If you use this plugin, I suggest avoiding spaces in the VM’s name or adjusting your plugin settings to skip the virtual lab VMs to prevent false positives. On the Networking tab, choose Advanced single-host (manual configuration). You can read up on the networking modes. Our use case calls for tests of VMs in multiple networks, so we must choose the Advanced/manual option. If the restored VMs are all in a single network, then the Basic/automatic mode will work. Click Next to start setting up the Isolated Networks. The next tab is where we will add the various networks that restored VMs will exist in. We will add some now and we will need to return here in the future when more networks are added. 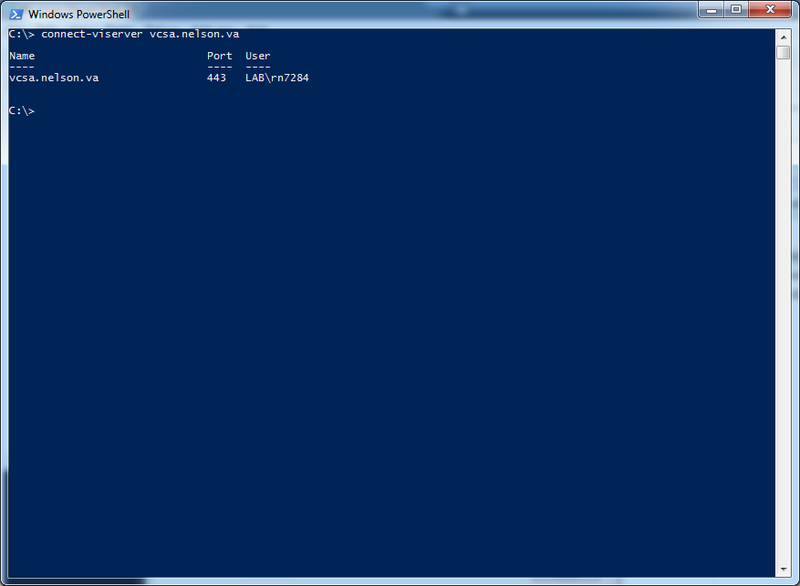 There are unfortunately no cmdlets or functions in the Veeam PowerShell kit to do this… yet. There will be one Isolated Network already. Update: When I read the documentation, I assumed you needed an isolated network for every production network that a VM in the job uses (i.e. if your VMs were on VLANs 100-110, you needed 11 isolated networks and vNICs), which is not quite true. If no isolated network/vNIC exists that matches the production network for a VM, only Heartbeat and Verification tests are attempted. If an isolated network/vNIC does exist, then Ping and Script tests are attempted as well. If we select that network and click Edit, we can see how it is associated with a Production network, an Isolated network, and a VLAN ID. This first Isolated Network defaults to the same network of the Proxy Appliance itself. It might be difficult to read through the scrubbed image, but the Isolated Network name is the Production Network name prepended with the lab name. This network will be added to a private vSwitch on the selected host, which will have no uplinks. We should be perfectly fine leaving the VLAN ID alone, but if you are worried, just assign it a unique number not used elsewhere, maybe add 500 or 1000 to it. Click OK or Cancel and back on the Isolated Networks page of the wizard, click Add… We will need to Choose… a production network. In the dialog box, be sure to expand the host our appliance is in – if it’s a dvSwitch it SHOULD be the same everywhere, but there’s no point in chancing some identifier of a different host conflicting. In figure 7, I’ve chosen the vSphere Management network as that’s where vROPs resides. Repeat this for every Isolated Network you need, using the Choose isolated network to connect this vNIC to pulldown to select the correct isolated network. If we need VMs to talk to each other, check the Route network traffic between vNICs. If we don’t need it, it probably won’t hurt, though. Here’s what this might look like when complete. We are going to skip Static Mapping, as the general NAT Masquerade works for this use case. Review the configuration on the Ready to Apply portion of the wizard and hit Apply. When we do, the resource pool, folder, vSwitch, port groups and virtual machine will be created and configured on the specified host. We can now find the proxy appliance VM (or the other resources managed) and add any notes, tags, etc that we would normally apply to those resources (I use tag-based backups so would want to put a NoBackup tag on the proxy appliance). If you need more assistance on creating a virtual lab, I recommend this Whiteboard Fridays video. 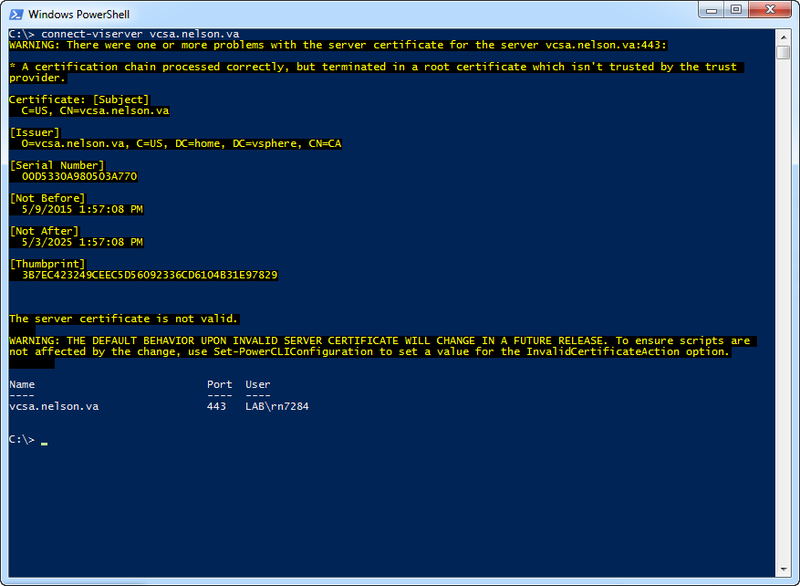 Linked Jobs only: The VMs in the linked jobs are started up in batches (default: 3 at a time) until all VMs are tested. Any VM test failure does not abort the run. Application Group and Linked Jobs: This a combination of the two above. The Application Group is processed as a unit and then, if it completes successfully, the Linked Job VMs are tested. Since we created an application group, we will select it. We cannot edit the application group settings from here, only view them to ensure we select the correct group. We may choose to check the Keep the application group running after the job completes box. If so, the job will remain at 99% with all application group VMs and the Proxy Appliance VM powered on until someone right clicks on the job and chooses Stop Session. As described below, this is good for checking out any of the VMs in greater depth after the job completes. It would obviously not be something to leave enabled on a scheduled job. It is important to note that the VMs will only be kept running if the job completes successfully; if it fails, I observed the VMs being shut down immediately. So, it’s not great for troubleshooting. Click Next to proceed. We can now link one or more Backup jobs to the SureBackup job by clicking the Add… button and selecting a job. We can only specify ONE role for all VMs in the linked job. If left blank, only a ping and heartbeat test will be used. At the bottom, we can specify how many VMs are processed at once. I did not play with the Advanced button but I believe we can use it to set roles by individual VM name, tags, folders, etc. 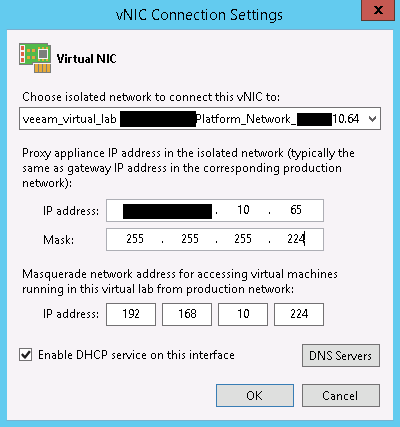 Be aware that each VM will attempt to connect to an isolated network on the virtual lab’s vSwitch. If the backup jobs are by network, the lab can get by with a single isolated network, but if the job contains VMs from multiple networks, each one needs to exist beforehand or the job will fail. Click Next when ready to proceed. The Settings page is where you specify to send SNMP or email notifications and determine if CRC checks are performed on the backup files. I only received emails in my testing for failed jobs; there appears to be no exposed setting for whether or not to send emails on successful job runs. CRC checks do take a while but I would recommend to avoid bit rot unless there is some sort of detection in the storage array or you’re a gambler. Clicking Next takes us to the Schedule tab. If we check Run the job automatically we can have it run on a daily or monthly schedule, or have it run after a job – perhaps the Linked Job or a job that the Application Group VMs are backed up in. If some VMs come from a different job, leave If some linked backup jobs… checked and adjust the timer as needed. OK, that was a LOT we went through, very chewy. I have tried to highlight the most important items that I did not find in the B&R manual, including some I already covered above. I am also new to SureBackup myself and hope that if you see any incorrect information or workarounds, you will let me know in the comments or on twitter, specifically the affinity issue with the Proxy Appliance. You need at least a Virtual Lab to create a SureBackup Job. Application Groups are optional, but are a quick way to get started. Application Group VMs are processed in serial in the order specified. A single failure aborts the entire group. If there is no existing role for a VM, you can create your own with an XML file. Existing roles are at %ProgramFiles%\Veeam\Backup and Replication\Backup\SbRoles. 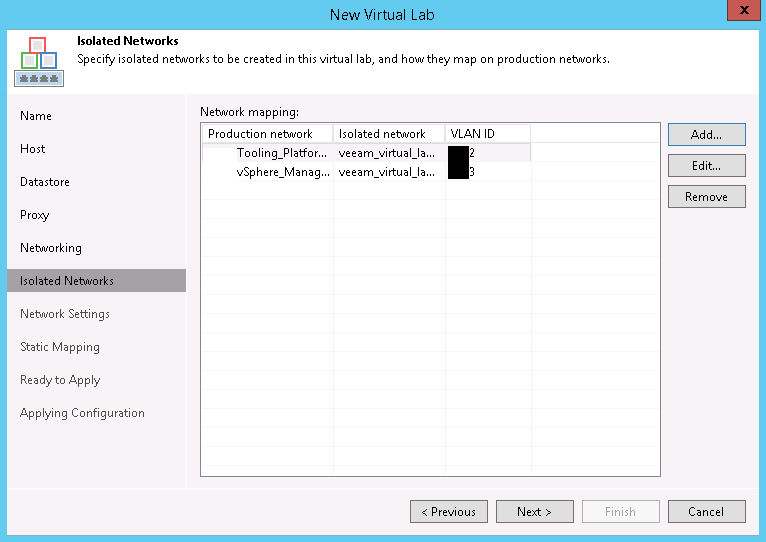 Virtual Labs are tied to a single VMHost/Datastore and cannot be attached to clusters. The Proxy Appliance VM is normally powered off so is mostly exempt from DRS. However, it can be moved during an HA event. Veeam does not appear to create an affinity rule to keep it in place. It also doesn’t quite notice when starting up the Virtual Lab that the VM isn’t on the same host as the vSwitch and jobs will continue to fail until you vMotion it back. Hopefully this is something Veeam is addressing; in the meantime I created a DRS rule on my own. Spaces in the proxy appliance name are converted to spaces in the folder name on the datastore; at least one vCheck plugin will alert on this discrepancy between name and folder. 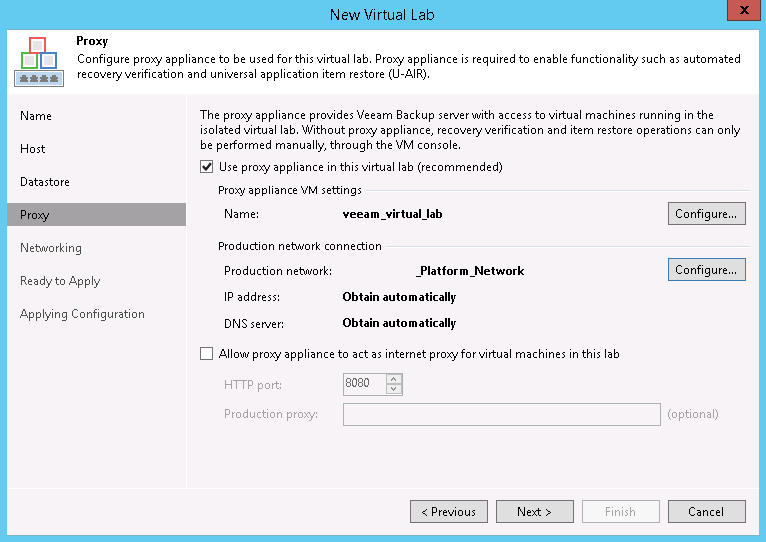 Place the Virtual Lab’s Proxy Appliance in the same network as the B&R Backup Server (not the Proxies or the Console, if the Console is separate from the Backup) and masquerade routes are added automatically; if you place it elsewhere, you must manage the routing from the Backup to the Proxy Appliance yourself. Isolated networks are attached to a vSwitch with no uplinks. You should be able to use the same VLANs as you use in production, although someone could add an uplink to it. Adding 500 or 1000 to the VLAN number to put it in a range you don’t use may help prevent accidents. The New Virtual Lab wizard’s Isolated Networks Add dialog does not automatically change the Isolated Network name; you must change it manually. If there is NO isolated network/vNIC matching the VM’s production network, only Heartbeat and Verification tests are attempted. Enable-NetFirewallRule -DisplayName "File and Printer Sharing (Echo Request - ICMPv4-In)"
After you create the virtual lab, don’t forget to update the lab resources created to add Notes, Tags, and other standard meta-data you use internally. A SureBackup Job can use an Application Group, one or more Linked Jobs, or an Application group AND one or more Linked Jobs. When both are used, Linked Jobs are not processed until the Application Group tests are successful. Keep the application group running after the job completes is missing the word successfully. If the application group tests fail, I observed the group shutting down immediately. You will need to right click on the job and choose Stop Session when you are ready to shut down and delete the VMs. Email notifications only happen on failures; I see no exposed setting to send notifications on success. You cannot delete a lab or application group if a SureBackup job references it. Delete or edit the SureBackup job to remove the reference and try again. You can power on the proxy appliance outside of SureBackup and deploy your own VMs attached to the vSwitch and make sure they get DHCP and are reachable with masquerading. With a lot of reading and a little bit of work, we have created an Application Group, a Virtual Lab with a few networks, and a SureBackup job that can test restores in a private environment. Most of us will have bit more work to do to create additional networks and maybe additional labs, but you should be able to start testing at least a few backups immediately. We can go to sleep a little better tonight knowing that our backups AND restores work! Even if they don’t work for some reason, at least we will find out now, not when we need them most! I would love to hear any other tips and tricks for using SureBackup. It appears very powerful, but requires a good bit of manual effort. Has anyone made strides in automating it, officially or unofficial? Let me know in the comments or on twitter. Thanks! If you have played around with vRealize Orchestrator (and vCenter Orchestrator before it) for long enough, you have undoubtedly locked yourself out at least once, either at the console or in VAMI or both. KB 2069041 details the process to reset the password and it’s simple enough, for the most part. You still have to deal with a lockout period in both the console and VAMI, and since the only user that likely exists is root, it appears to me to be just a way to DoS yourself when you most desperately need access to your vRO. The lockout can be disabled, though. Winner! There’s 3 different files (two are symlinks) containing that pattern and one has the word vami in it, bingo! Just get in and put a # in front of the auth line (the bolded one) to comment it out and suddenly you’ll be able to log in to the VAMI again. I do not know if this persists across updates, so you may want to revisit this after your next upgrade to be sure – I’ll come back and add a note whenever I do my next update. You can now no longer DoS yourself, or be DoSed by accidental or malicious coworkers. However, keep in mind that this may violate your corporate standards for security, and that’s a political problem, not a technical one – perhaps in that situation, you can adjust the timers instead of disabling it entirely. I think it’s safe to say that this is perfect for everyone’s lab, though! This happens intermittently, but frequently with the Get-HardDisk cmdlet which is used in most of the Snapshot related plugins. When it does happen, the vCheck plugin fails to return any meaningful data and normally errors pretty fast – run times for the full set of checks in my environment drops from ~120 minutes to ~8 minutes. The issue goes back over 3 years and while there were a number of attempts to fix the issue, there was no single fix that worked for everyone, every time. Some would hide the issue till you hit a certain threshold and others would just make it far less likely to occur, but not eliminate it. I eventually opened an issue with VMware support and we found what I think is the solution. I am using the provided certificates for my vCenters. These certificates have an expiry term of 10 years and are signed by a CA also provided by vCenter during the initial install. 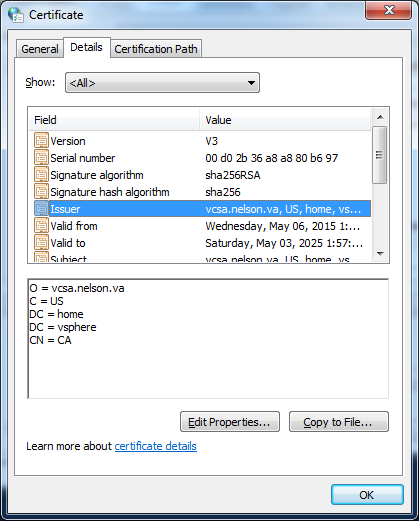 This is typically known as a self-signed certificate, but more specifically means the cert is not signed by a CA trusted by the client (if it was signed by Verisign but you removed the Verisign CAs from your Trusted CA store, it would be reported as a cert signed by an Untrusted CA and/or a self-signed certificate, depending on the application interfacing with it. I have decided to continue to use these certs as the process for attaching new certificates to a vCenter installation is hairy, to say the least. Be sure to use the FQDN to access your vCenter server, or this warning will be swallowed in favor of a “name mismatch” warning. Generally speaking, most of us don’t care about this error because we are confident that we are connecting to our vCenter server and we tend to ignore this as a cause of problems. I certainly did. I don’t know the specifics surrounding it, but PowerCLI sometimes decides it doesn’t like the Untrusted CA and thus generates the error about Could not establish trust relationship. Sometimes, it’s cool and establishes it just fine. I believe it has something to do with resource exhaustion in tracking the connection, as one of the workarounds suggested on GitHub appeared to work for some by increasing the resources available to a PowerShell session. Regardless of the specifics, connecting to a Trusted CA does not have this issue. So our resolution is to use certificates signed by a Trusted CA! As suggested above, you can attach new certificates directly from a Trusted CA to your vCenter, but it’s a tricky process. The other alternative is to trust the CA from your vCenter, which we’ll do here. Alternatively, if you want to attach new certs from an already-Trusted CA, check out KB2111219 and any number of blog posts that address this process and skip ahead to the Summary section. You will receive a zip file that contains the certs in various formats. Since I’m on Windows, I burrow down to the certs\win directory where there are two CRT files and one CRL. Extract this in a folder somewhere. You only need the CRT that is paired with a CRL; the other CRT is for the ssoserver and that is not something PowerCLI cares about. In vCenter 6.0, the cert bundle had no directories and just two files ending in .0 and .r0 (now found in the lin and mac directories) that correspond to .crt and .crl respectively, so just extract and rename the files if you that’s the case. Now, we need to access the certificate store. This varies per OS and version. In Windows 7, you can find the store inside the Internet Options control panel on the Content tab by clicking the Certificates button. 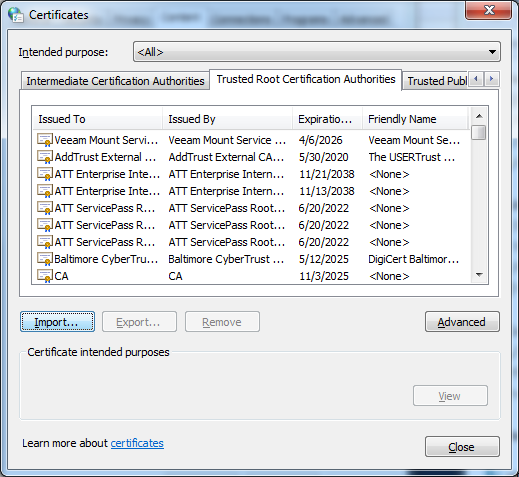 Click over to the Trusted Root Certification Authorities tab. You want to repeat this process on any and all nodes that will use PowerCLI to connect to the vCenter in question, not just the server you run vCheck from. When you run vCheck now, you should no longer see those random SSL/TLS errors! If you disabled some checks, like Phantom Snapshots, because they failed more often than they ran, this is a good time to review if you want to re-enable them. I hope this helps. I will warn that this solution has only been tested for about a month, but I saw error rates drop from 70% to 0%. I could NOT get the errors to occur with the CA in place, but they would come back the moment I removed the CA. If you see the error return, please let me know in the comments or on twitter and I’ll be glad to share the ticket number reference for engaging support! Today, I upgraded a vCenter appliance on 6.0u3 to 6.5u1. I had been waiting for this forever as we wanted to get to 6.5, but had erroneously missed a line in the 6.0u3 release notes that said it could not be upgraded to 6.5! Happily, 6.5 Update 1 remedied that, so away we go! You cannot use VAMI to do major/minor upgrades, only point releases (Update X) and patches, so you must download the new ISO and use the installer. You can find the ISO here and some great instructions on the installer in Mike Tabor’s Upgrade vCenter Server Appliance 6.0 to 6.5 article. The installer itself is pretty foolproof and Mike’s article addresses most ambiguities, so I just want to detail a few things I ran into that may help others. Turn off DRS during the upgrade. It’s mentioned in step 15 and in a warning in the installer itself, but I think it’s better to disable it before you get to that step, just in case DRS kicks in between when you start and that step. If you have an external VUM, you need to either start the Migration Assistant on it or disable the extension com.vmware.vcIntegrity or the installer will not get started. I chose to disable the extension as the end goal was to use the new internal VUM service. The password policy has changed, so you may not be able to keep the same root password for the new appliance. For Stage 2, Mike very optimistically says “after a few minutes the vCenter Server Appliance upgrade should complete.” With just 2GB of data to migrate, it still took close to 45 minutes, and some individual steps seemed hung for close to 10 minutes at a time. Don’t worry if it takes a while, as long as you’re seeing progress overall. After performing the upgrade, you’ll surely have other tasks, such as updating extensions like vRO and vROps, so don’t delete any snapshots right away in case something goes awry.